A new study from the Federal Reserve Bank of Dallas compares the 2008-09 recession to other downturns — and puts it at the top of the list. Ben Philpott filed this report for KUT News and the Tribune. 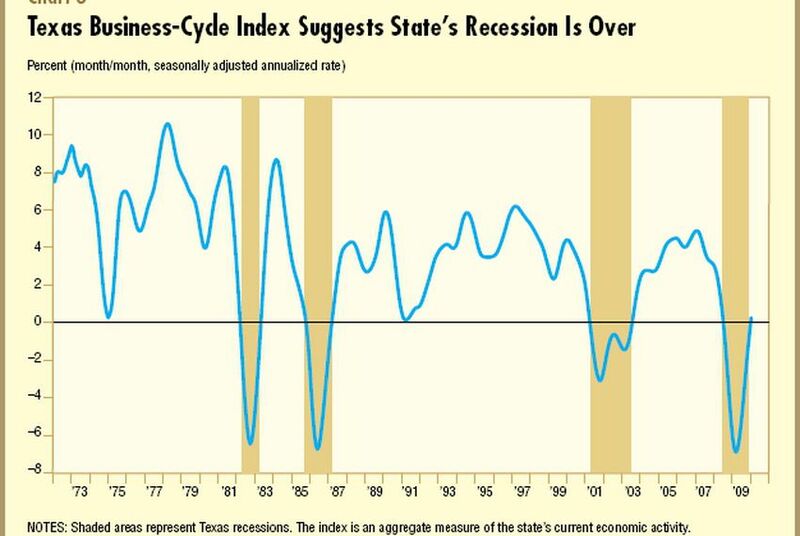 With Texas and the rest of the U.S. climbing out of the recession, economists have begun looking back to see how it compared to other recent downturns. A new study from the Federal Reserve Bank of Dallas puts it at the top of the list. Ben Philpott filed this report for KUT News and the Tribune.